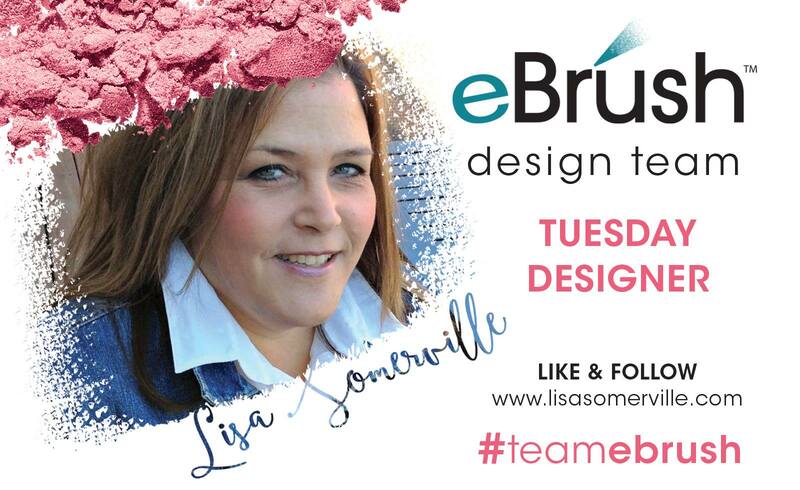 Hello and welcome to the Craftwell Blog, Lisa here today, sharing a mixed media card I created with stencils from our July Sponsor, Latina Crafter along with the eBrush and Siphon Adapter Kit. 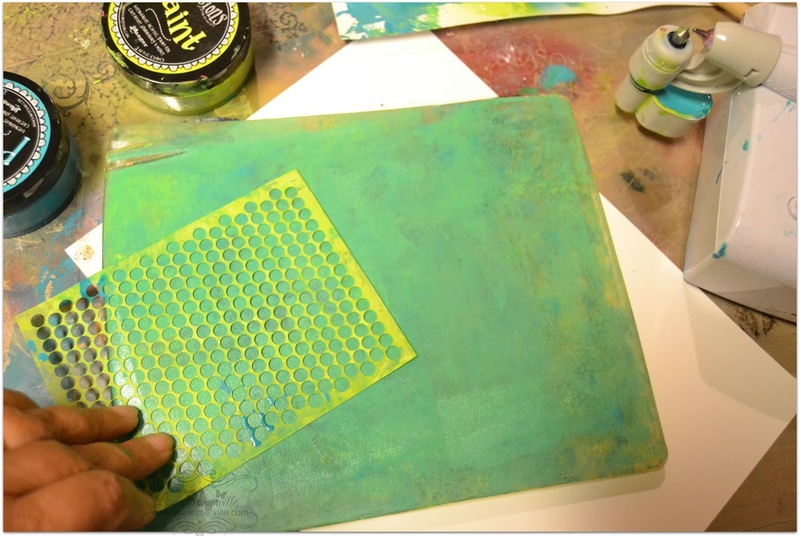 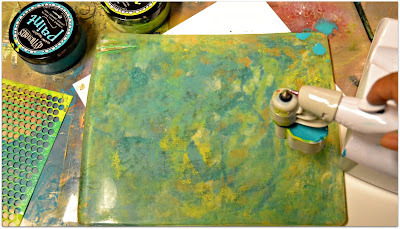 Mix paint with water to thin, then using the eBrush and Siphon Adapter Kit, spray onto Gelli Plate (or you can even use the non stick craft mat). 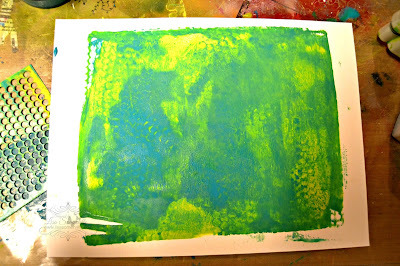 Repeat with all colors as desired. 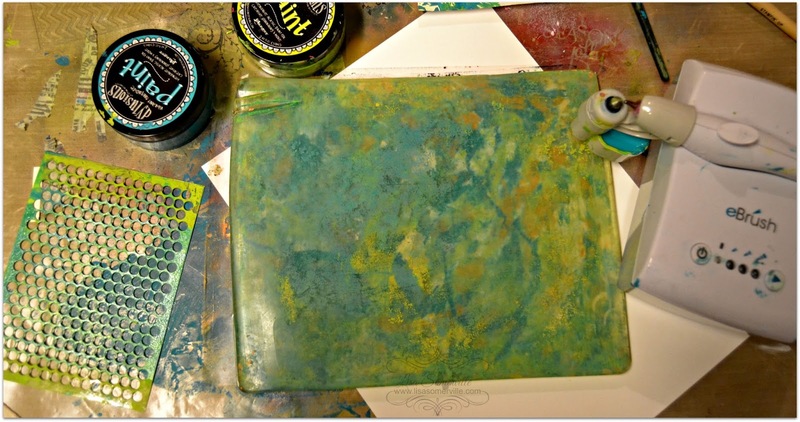 If desired, help blend and spread colors a bit using a rubber brayer. Press stencil into paint, repeat until covered as desired. Then press Mixed Media card stock onto of wet paint to pull print. This is the first print I pulled. 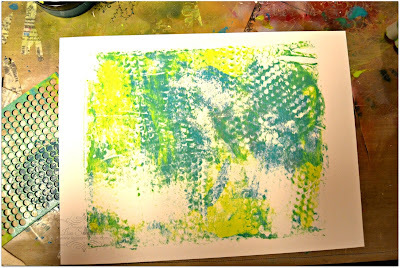 Because the paint stays wet for a long time, you can continue to pull prints. This is the third print I pulled. 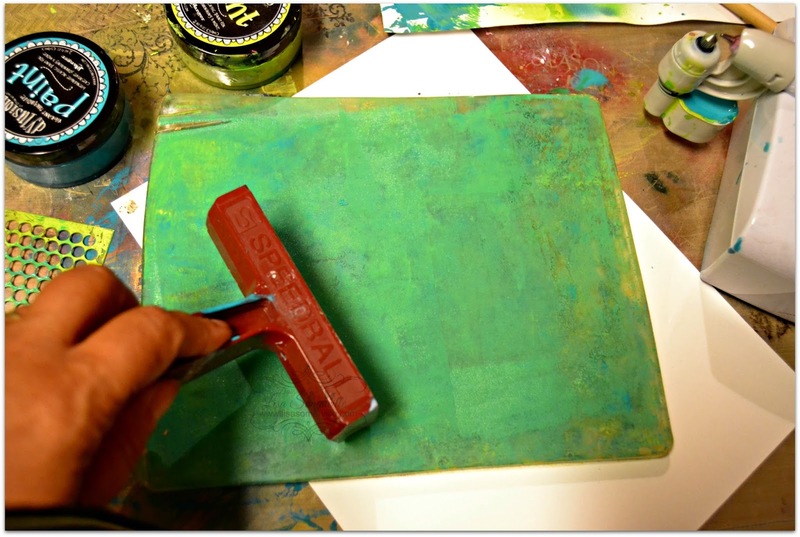 Use as desired. 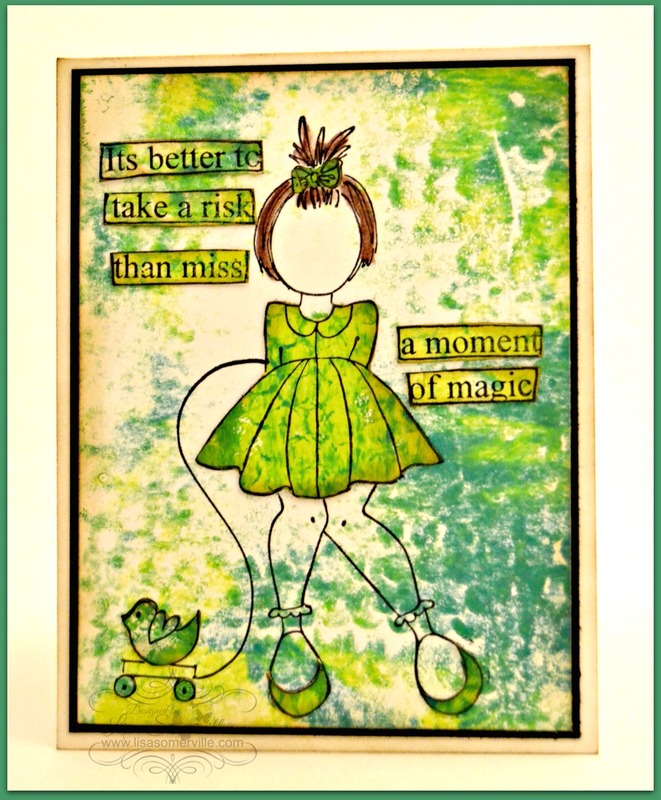 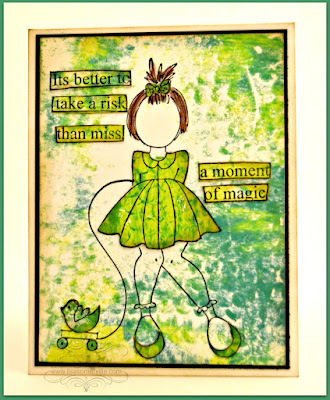 I used the print for the background and to paper piece the stamped images and add the sentiment.